This is excerpt No. 33 (of 45) from America’s Right Turn: How Conservatives Used New and Alternative Media to Take Power, by Richard A. Viguerie and David Franke. Ted Turner’s CNN proved that 24/7 cable news was not only possible, but the wave of the future. Rupert Murdoch then bested Turner at his own game with his creation of Fox News. The result was one of the greatest victories for conservatives in the alternative media. Murdoch did this by hiring the right people and letting them run the show, but also through smart marketing. He saw a nation where conservatives vastly outnumbered liberals in the population at large, but where the media was overwhelmingly liberal. If you’re an entrepreneur (like Murdoch) rather than an ideologue (like liberal Turner), that spells opportunity. And Murdoch ran with it. Conservatives owe a great debt of gratitude to Ted Turner. Yes, the very same Ted Turner who calls Christianity “a religion for losers” and who became the fourth man to rescue Jane Fonda from spinsterhood (for a while at least). For it was Ted Turner the entrepreneur who took the financial risk to prove that 24/7 cable news was not only possible, but the wave of the future. And yes, he created the Cable News Network (CNN, aka the Clinton News Network) in his image, but that only opened the way for another entrepreneur, Rupert Murdoch, to beat Turner at his own game. Turner started CNN in 1980, and in October 1996 he became vice chairman of Time Warner with the merger of Time Warner and his Turner Broadcasting System. CNN’s subsequent problems can be traced to that fateful month. With the end of Ted Turner’s personal direction of the network, CNN became a bureaucratic mess. The timing could not have been worse, for also in October 1996 the other entrepreneur, Murdoch, started the Fox News Channel. At the time, almost nobody gave Fox News a chance to compete with CNN, but you should never place your bet on a corporate bureaucracy in a battle with a brilliant entrepreneur. 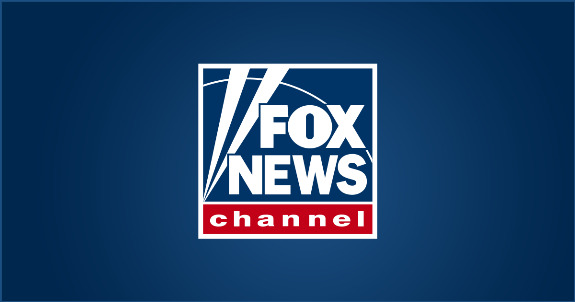 In less than seven years, Fox News not only managed to compete with CNN, it overtook CNN to become the foremost cable news channel. Rupert Murdoch’s News Corp. is the nation’s seventh largest media group, following AOL Time Warner, Walt Disney, Viacom, Comcast, Sony, and Vivendi Universal. Worldwide his empire includes more than 100 newspapers, including the Times of London and the New York Post. He also owns HarperCollins, the second largest book publisher in the United States. With six larger media empires around, News Corp. is hardly the “monopoly” threat portrayed by the Left. The combined impact of all those conglomerates may pose a problem of sorts, but that discussion is beyond the scope of this book. What makes the Left single out Murdoch as a threat to civilization is the fact that he’s so much more visible, being an entrepreneur totally in control of his empire rather than one of the relatively faceless bureaucrats heading the other empires. That, and the fact that he aligned himself with media conservatives in the United States. There’s scant indication that Murdoch himself is an ideologue. He prefers to describe himself as a “moderate libertarian,” and he talks about how “we started as a small newspaper company and grew by providing competition and innovation in stale, near monopolistic markets.” His alliance with conservatives in the United States was a strategic decision. He saw a nation where conservatives vastly outnumbered liberals in the population at large, but where the media was overwhelmingly liberal. If you’re an entrepreneur rather than an ideologue, that spells opportunity. And he ran with it. Broadcasting & Cable: So if Fox News is fair and balanced, then why do so many other people not believe it? Broadcasting & Cable: Why do you get your back up if somebody says you run a right-wing, Republican network? The irony, of course, was that at the time Hayward gave this tribute to Fox News – while accepting an award named for the top liberal TV icon of all time, Edward R. Murrow – Hayward’s own CBS Evening News was losing even more viewers than the other broadcast networks. And where were their audiences headed? To the cable news networks, of course, headed by Fox. Perhaps Hayward did note the irony that he was getting the award while his ratings opponent was getting his audience.